Having been interviewed for various articles more than a few time throughout my 15 year career, there have been a couple of times when the article was titled “Women Entrepreneurs” or “Female Entrepreneurs”. Article titles where I’ve been interviewed, are not in my control. Usually, I keep my personal feelings separate. Sometimes though, I will request the editor or features writer to kindly re-consider. I do this by sending them a brief email with my request and my reasoning for asking for the change, i.e, from “Female Entrepreneur” to simply “Entrepreneur”. Or more accurately in my case, “Solo Entrepreneur”. I have been able to do what I do, not because I am a woman but despite that fact. It matters to me that I be introduced as an entrepreneur, regardless of my gender. Would an article about entrepreneurs who are men, be titled “Male Entrepreneurs”? I haven’t seen one. Thinking that I haven’t been able to do a lot of things because I’m a woman might be factual but it’s also a bit like accepting that I’m a victim. I refuse to ever subscribe to that thought process. Whenever I’ve truly wanted to do something, I’ve gone and done it. For example, for the longest time, I’ve lamented that men can do street photography in India much more easily than a woman can. Safety issues being the main concern. I can’t casually walk on the street with expensive photography equipment without worrying about being molested, harassed in general or even being mugged, which might include physical assault. So, in general, I’ve stayed away from open streets and only do street photography in controlled spaces like Fashion Week and the India Art Fair. Or at locations considered relatively safe and posh, like Khan Market in New Delhi. But these locations are not representative of the India I would like to photograph. So, I’ve photographed streets through a moving car or bus. But the main reason I haven’t ventured into street photography on a larger scale is simply because it does not pay well. It’s hours and hours of back-breaking work, usually in terrible weather and unsafe conditions. And there’s no one willing to pay for it. If I really wanted to get out and document the streets of Delhi and Gurgaon to begin with, I’d find a way. My gender will not be a catalyst. It is possible that male photographers are getting paid to pursue street photography assignments. This could be because the client might believe that it is a safer investment to hire a guy to do it because at least no one will assault him for his gender and that’s a headache that the client can avoid from the get-go. To put it politely, “What a pile of manure!” Hiring someone because their work is fantastic, regardless of their gender, is the ideal thing to do. If we start with that premise, we will ensure that we create circumstances where the best work can be done. This would be more proactive than reactive. You’re ensuring the best work gets done, regardless of whether it’s a man or a woman doing it. Hiring a man because you believe he can take more abuse than a woman, is terrible for the man as well. What if he does go through something unsettling or violent? Is he automatically supposed to “handle it” because he’s a “man”? It’s unfair to both genders. The excuse most of us use is, “But that’s not how the REAL world works!” Putting in effort to create feasible circumstances to help create good work, is harder than operating on status quo. Till the “Culture” fixes itself, I need to go out of my way to hire women. This is extra effort that most of us exhausted souls have little energy for. I get it. I’ve also had people walk up to me and tell me how wonderful they think it is that I, a woman, am a professional photographer. ( So a male photographer would not be wonderful? If you’ve seen my work and evaluated it against all the other work you’ve seen previously and THEN you tell me that my WORK is wonderful, THAT I’m ok with .) I’m not a curiosity to be gawked at. I’m a professional on assignment. I’m doing my job. None of us should be looking at our careers from the point of view of gender. If there’s something you really want to do, but your gender has not done that traditionally, look at it as an opportunity to market yourself as the first. There is opportunity in novelty. I am not including jobs or tasks that require the use of features that are biologically inherent in genders. If you wanted to hire someone to surrogate a child for you, there is no scope of men in that “profession”. Not yet anyway. We’ll have to wait on Science for that one. I can get the jar of honey to open after struggling with it for a few minutes, sure. But I’d rather take it to B if I want my coffee as soon as I wake up. Had I been the more physically stronger one at home, guess who would be opening all the jars! A man who is not the primary bread-winner and manages the household? OMG he’s not man enough. Isn’t that the woman’s job? Because women are better at taking care of a home. We might not say this out loud, but we think it. I know more than a few men who would be legitimately offended if they heard this. They are the better care-takers than their significant others. They prefer the peace and quiet of home. Traditional corporate roles, pretend aggression, etc. don’t work for them anymore. They put their mental well-being before external expectations. Nursing has traditionally been a female domain. But we do have male nurses. Wrestling and weight-lifting have traditionally been a male domain but we do have female wrestlers and weight-lifters now. Personally, I believe that the gender debate must focus on providing equal opportunities. No one can, or should, ensure equal outcomes. If women are given opportunities equal to what men are given, that would be great. But what each man or woman does with that opportunity is mostly, up to them. Train ten photographers equally, give them all a similar job. Regardless of gender, not all ten are guaranteed to be successful ( however success is determined ). No one told me I couldn’t be a photographer because I was a woman. I didn’t ask. True, most of the work I’ve done over the years, has been because a woman hired me. 90 out of the 100 times that I’ve been hired, has been because a woman decided to hire me. Or championed my work internally at her organization and tried to get me hired. If I had been hired by men as well, I might have done more work, sure. But I’ve done plenty of work anyway. The loss wasn’t mine. The point is, I can’t let that stop me from doing what I want to do. At the end of the day, it is not a competition between men and women. We are all in this together. We are all, fellow-entrepreneurs. Go and do what you must. (Over the years, I’ve tried to stay away from writing about “days” : Valentine’s Day, Photography Day – I’ve written about it once, Women’s Day etc. Love, image-making, being a human being, are parts of my daily life. I talk and write plenty about other things that are more important to me : professionalism, doing business in India, getting paid etc. There isn’t much about this stuff online, especially from an Indian point of view. If you’d like me to write about something specific, please let me know in the comments section below and I will make an attempt. You can always catch me on Twitter if you’d like to continue the chat on this subject. Award winning SA entrepreneur Darlene Menzies has hit out at telco giant MTN, saying the corporate reneged on a multi-million dollar distribution deal and then locked her accounting software business SMEasy in a three-year agreement, preventing the company from expanding. While neither MTN SA or MTN Group was able to comment — despite being given nearly a week in which to do so — Menzies (pictured above), who founded SMEasy in 2009, said the trouble started just after the company signed a three-year deal with MTN in 2016 to distribute the accounting software that SMEasy had developed for micro firms across the continent. The three-year deal is set to expire in June this year. With so many micro firms already selling MTN airtime across the continent, the deal would allow the product to reach hundreds of thousands of small businesses. Investors who had ploughed millions into the software company were set to score big. “It was going to be a massive uptick for investors,” Menzies told Ventureburn last week. Menzies says when the company initially approached MTN in about 2016, the telco giant initially wanted to acquire her company. Then something happened that would change everything. A month after her approach to MTN, Nigeria authorities accused the telco of illegally repatriating billions of dollars from the West African country (in December MTN announced that it had reached an agreement with the Central Bank of Nigeria in terms of what the bank alleged was the improper repatriation by MTN Nigeria of $8.1bn between 2007 and 2015). Menzies says it was then that MTN put a hold on all pending transactions across the group at the time. MTN, she says, then suggested that it could white label the platform as “MTN Easy Accounting“. A revenue share agreement was then concluded with the company to take the product to 20 African countries. MTN agreed to pay for the marketing and support cost, she says. The idea was that once white labelled, MTN Easy Accounting would sit on a separate tech platform. Then the entire project then hit its first hurdle — the platform was still at the Beta stage. During this time SMEasy was able to raise a new round of R5-million from an investor (who Menzies declined to name) to add to the millions already invested by a number of previous investors. This round was earmarked to help the firm to expand locally in South Africa. Instead the company was forced to deploy the new funding on hiring nine developers to customise the product in things like taxation, payroll and currencies for each of the 20 African countries that MTN operates in. Then MTN carried out a pilot of the new MTN Easy Accounting in Kenya, but Menzies says SMEasy has yet to receive any of the revenue derived from licenses sold during the pilot. She said she was told that it proved too complex to work out how to get the revenue back to South Africa. The money owing, she says, is only about $500. Menzies says during this time, SMEasy was approached by another large telecommunication company (the name of which she declined to reveal) that was keen to take the product to the rest of the continent. Added to this, changes at MTN management level in South Africa also contributed to delays, she argues. In another attempt to get things moving Menzies says she seconded her company’s general manager to work full time at MTN. She was to oversee training necessary to prepare MTN workers to deploy the product. But five months later after little had changed, the company pulled her out. With things on hold two of SMEasy’s investors — the Asisa Fund managed by Edge Growth, 4Di Capital and Investec — decided to exit from the company. A decision was taken by Menzies and her team to then form an investment consortium to take 70% of the company. The consortium consisted of Menzies herself and the most recent investor Kingson Capital. Kingson Capital’s CEO Gavin Reardon was made the chairman of SMEasy. Kalon and Grovest continued with their smaller share in the company. The company was also forced to retrench five of its team of 10 people. “It was tough on me as the founder, as you can imagine and my team,” she said. Said Menzies: “You think that working with corporates will give you an opportunity, but you end up being locked out of such opportunities”. For her the end to what she calls a “three-year paralysis” is in sight, when the agreement comes to an end in June. There is also another silver lining for SMEasy. The company she said has some “nice irons in the fire”. The same telecommunication company that was interested in the product, while the company was locked in the agreement with MTN, is still engaging with SMEasy. Added to this the company has had two approaches from funders to undertake a Series-B round. But she says the company is in a “holding pattern” until the end of what she calls “this nightmare”. The industry disproportionately sells makeup and beauty products to white women, she says, leaving a lot of money on the table. According to Statistica, a market and consumer data company, people of color purchase makeup products more frequently than white consumers. Then Roxie saw another problem. Kim Roxie founded Lamik Beauty after discovering a lack of organic cosmetic products for people of color. That spark was enough for her to attend a makeup manufacturing show in New York. After a number of “nos,” she found one person who was willing to work with her. From there, she launched Lamik Beauty (Love and Makeup in Kindness), an organic line of products primarily for women of color. Roxie was a success. She had her own makeup line and a storefront in her hometown of Houston with a solid customer base. But she wanted more. Roxie enrolled in small-business programs, but none of those addressed her desire to get bigger. Then she looked toward Austin. She began doing research on startups. “And I was like, ‘Wait, there’s been this party going on this whole time, where there has been fundraising going on, there have been accelerators, there have been mentors and a network happening that I have not been a part of? Why didn’t anyone tell me?’” she says. Then she applied to a program at DivInc, a startup accelerator for minority- and female-owned companies. CEO Preston James liked what he saw. DivInc CEO Preston James says after doing some research he could find fewer than a dozen known African-American angel investors nationwide. So he took a leap. DivInc’s three-month program gives owners the tools to move up the startup-investor food chain. “I think Kim is a great example of a person who started her business as a small-business type, but then wanted to [get bigger],” James says. But she didn’t know how to do it. Roxie’s also a good example of a blind spot for needs in the marketplace that white – and likely male – venture capital investors might have. After being accepted into DivInc’s program, Roxie closed her store in Houston. She plans to relaunch a bigger and better Lamik online in Austin. James left Dell after a few decades to get involved in Austin’s vibrant startup environment. He says a friend kept pushing him to become an angel investor. After doing some research, James says, he could find fewer than a dozen publicly known African-American angel investors nationwide. He took the leap. As an investor, he attended startup demonstration days and pitch competitions. He saw a lack of diversity on both the entrepreneur side and among investors. He was asked to speak about diversity in the startup scene at a number of conferences and panels. According to 2016 data compiled by Pitchbook, only 3 percent of venture capital firms have black or Latino investment managers. “I just got tired of talking about it,” he says. From DivInc’s office at Capital Factory in downtown Austin, James and development director Monica Morales are trying to do something about it. They look for founders of color and women they can help take to the next level. After DivInc, Roxie took the next step last summer and began a program at Sputnik ATX, a next-level local accelerator. Oksana Malysheva, its co-founder and managing partner, says Roxie’s business was too good to pass up – socially and financially. The truth is Lamik may be an answer to a question that Merrill had never thought to ask. He went out to cosmetic aisles to see for himself — and got excited. Sputnik’s investments don’t necessarily have an altruistic focus, but they do focus on great business opportunities. This is, of course, just one success story. But these small signs of social progress leave those in the local startup scene optimistic. As for Roxie, she’ll be spending the first weekend of South by Southwest rubbing elbows with investors and influencers, looking for her next opportunity. When it comes to areas like technology and business, people generally presume that these are the things that men are good at. The same can be said for the tech startup industry as well, but in Southeast Asia, there are some female game-changers who are revolutionising the digital entrepreneurial world. These women are setting examples by taking their business to new heights and contributing to the economy as well as the social landscape of the society. In the spirit of International Women’s Day, we collated a list of some powerhouse female entrepreneurs who are revolutionising the tech startup scene in Southeast Asia. After drawing inspiration while shopping for clothes in a local market during a holiday trip to Bangkok, 27-year-old Ankiti Bose along with her business partner Dhruv Kapoor started a fashion platform called Zilingo. The eCommerce startup provides an online platform to small fashion retailers of Singapore, Bangkok and Jakarta. Zilingo began in 2015 as a fashion and lifestyle marketplace but has since expanded into the business-to-business space by providing supply chain capabilities to fashion merchants. Recently, Ankiti’s startup announced that it raised US$226 million in a series D funding. Ee Ling is the CEO & Founder of Smarter Me – an Edtech company based out of Singapore. After working as an Investment Banker for 10 years, she decided to start this futuristic live e-school with a mission to equip kids with the skillset, mindset and heart set for the future. Ee Ling realised that there was a huge gap between her kids’ education and the fast-changing global economy. She says it all began with an innocent grumble from her 12-year-old asking her why was she supposed to learn Geology in school and when would it help her in life. Smarter Me was launched in April 2016 and is actually bringing about real change in the education sector by making the best use of technology. Rachel de Villa, 25, is one of the founders and the Chief Technology Officer of the crowdfunding startup Cropital. It is a social enterprise that supports Filipino farmers by matching them with the right investors. Investors can get up to 25% return dependent on the terms while farmers get a share in the profit. She started this company in November 2015 with two other millennials who shared her vision to improve the economic conditions of farmers in the Philippines. Cropital has helped over 600 farmers across the country since their launch. Wendy Chen used to be a quantitative trader. Today, she is running a successful retail technology company called Omnistream. She started Omnistream in 2013 to develop technology services that cater specifically to retailers in Southeast Asia. The startup was founded in Hong Kong and is now headquartered in Singapore. Wendy has a deep love for Southeast Asia, recognises the uniqueness of the region, and takes pride in providing services to the region she grew up in. The co-founder and CEO of ADDO AI, an artificial intelligence solutions firm and incubator, Dr Ayesha Khanna is another power-house tech startup entrepreneur in the region. Her company has been featured in the Forbes magazine as one of the four leading artificial intelligence companies in Asia. Moreover, Ayesha was named one of South East Asia’s groundbreaking female entrepreneurs by Forbes magazine last year. Founded by a group of digital marketing and technology experts, CrescoData works to provide cutting-edge service to clients needing data feed creation, data import, API creation, and other platforms. Anna Trybocka is the CEO and founding partner of the business, which is headquartered in Singapore. She is among the pioneers who are bringing commerce cloud to the region using new age technologies like artificial intelligence and machine learning. At the age of 33, Hooi Ling Tan is the co-founder of Southeast Asia’s biggest ride-hailing startup Grab, which recently became the region’s first decacorn. From being a reluctant taxi user to driving operations for the region’s biggest ride-sharing platform, Hooi Ling’s story is an inspiration. Co-founder and COO at Energo Labs, Kaikai Yang is known as a digital hero for bringing blockchain and energy together with the help of technology. She is also often referred to as a trailblazer female entrepreneur in Southeast Asia. Kaikai started this company with a vision to help provide energy to rural areas and stabilise energy grids. Energo Labs allows users to choose their energy sources and is dedicated to building decentralised autonomous energy communities. Women entrepreneurs are changing the tech startup scene, and making strong headway in Southeast Asia. Their passion, dedication and innovation are inspirational to everyone and these are but a highlight of the great female entrepreneurs in the region. We’d like to leave you with this quote from Marilyn Monroe. Give a woman the right pair of shoes and she can conquer the world. Lorraine Goodman didn’t launch Lavenderlane with the goal of becoming an exporter. In fact, she wanted to become a household name in South Africa as a top-quality brand in the natural healing products space. She thought exporting was expensive and therefore unreachable. This perception changed when she was introduced to the Cosmetics Export Council for South Africa (CECOSA) in 2016. “I discovered that the Department of Trade and Industry (dti) assists small cosmetic manufacturers to exhibit at international beauty expos, to look for distributors, buyers — everything you need to get started. On top of that, CECOSA helps with all the documentation you need,” Lorraine explains. And just like that, exporting Lavenderlane’s products became a real possibility. In early 2018, Lorraine received a key piece of advice from the owner of a well-known local brand: Put every cent you have into exporting your products. Lorraine understands the reality of South Africa’s financial situation. As a business owner, she’s adjusting her model accordingly. If you’re interested in exporting your product, Lorraine has some key advice. First, ensure your potential buyer or distributor is legitimate. “You’ll often be asked for sole distribution rights, but there is fine print involved,” she says. In addition, Lorraine advises that you ensure your product is far superior to anything that your potential clients already have access to. Most markets suffer from the same problem: Everyone is inclined to do the same thing, which floods a market. Add to that a tight economy that often purchases on price alone and doesn’t always support local manufacturers, and exporting your product might be a viable growth strategy — provided you understand the landscape. There’s also a wide range of funding available for businesses that want to explore this route. Theresa Möller, executive director of CECOSA, unpacks what you need to get started. “Within Africa, the requirements for product listing are much lower than international markets, and if you comply with South African requirements, you already comply with most of Africa. The barriers to entry are therefore lower than Europe and US, where you need CE and FDA markings respectively. The costs and time involved are huge. The good news for business owners who choose to start manufacturing themselves is that there’s a lot of funding available to assist them in their initial set-up costs. Fortunately, this is one of the reasons export councils exist — they are the experts in the processes and paperwork that government funders require. This assistance includes money for advertising, banners, promotional material and even a business or marketing plan. It’s all there — you just need to do the legwork and fill in the paperwork. Just as you need an export licence, which you receive through the SARS customs office, your customer needs an import licence, or your goods won’t be allowed off the ship. “You can find a distributor through expos and market research. Sole agents are expensive and a lot rests on you, from market research to supply advertising material and managing them on a day-to-day basis. Distributors on the other hand should already be plugged into the industry with retail contacts. They do business based on a distribution fee that is usually between 10% and 30% based on product volume and pricing. You need a fool-proof contract that details your distribution agreement and includes your landed price, your selling price, your three discounted prices and any other selling criteria. “Pricing is critical and will be based on your market research. What pricing will your target market tolerate? Can you make the margins you need or does it make more sense to walk away? If you have a higher-end product that can ask for more, can you afford the level of advertising you’ll need to do? Can you justify your price? These are all points to consider. If you find you’re priced incorrectly for your market of choice, you can try to find a way to cut costs, possibly through slight adjustments to your ingredients. “Perhaps you don’t use the ingredients or components you wanted, which allows you to come in at a slightly less expensive option that the market still wants. You can offer leather uppers in shoes for example, instead of 100% leather. There are a lot of ways to adjust costs. There are many ways to market your product internationally. If you’ve gone the distributor route a lot of this will rest on them, but you can also get involved through social media channels. Theresa’s advice is to always ride on the back of the success of high-end multi-nationals. “If the likes of a L’Oréal or Proctor and Gamble have just done a whole promotion into Kenya, opened a new company and sold some great new products, go onto your social media and give them accolades. You’re sharing the good news: ‘L’Oréal has just opened in Kenya, shouldn’t South African products be focusing on this great market? Maybe our product should be in Kenya too’… by using a multinational, you’ve just promoted your product and company. Exporting is not a quick fix for growth or poor local sales. It requires a strategic intention to implement, and dedicated efforts in assessing the potential in export markets. It’s therefore important to commit to the process. That said, there is a lot of assistance available to businesses interested in exporting their products. If you do want to tap into these options, however, you need to ensure you have all the detailed information at hand that will be asked of you, and this means you need to have covered all of your bases. Nadia Rawjee, director of strategy and finance at Uzenzele Holdings unpacks the seven key steps to becoming export ready. Selling chocolates, baked goods and lemonade at age 8. Buying gumball machines to expand profits at 12. Then, purchasing vending machines at age 16. Perhaps her entrepreneurial spirit comes from her grocery store-owning parents, but Alejandra Zertuche (B.S. ’08, M.B.A. ’11) has always been all about business. According to Zertuche, they convert the information they extract into interactive dashboards, which then help clients identify at-risk students so they can create personal action plans to improve their academic performance. Astoundingly, Zertuche has been with Enflux for just two years, hired as a senior business analyst in February 2017 when the company was founded. 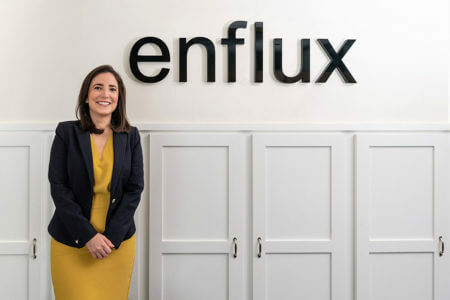 She was discovered by Enflux through LinkedIn — a testament to her business acumen combined with her engineering expertise, which she kept up to date on her professional profile. Six months later, Zertuche was promoted to vice president, and then to CEO after another six months. Before Enflux, Zertuche worked for three years as an industrial engineer for a German company manufacturing plastic parts for the automobile industry. She also spent six years at the University of the Incarnate Word Feik School of Pharmacy as an academic assessment analyst. The position spurred her interest in data collection for higher education institutions, which would later create business opportunities for her and for Enflux. For Zertuche — who was born in Nuevo Laredo, Mexico, and learned English at age 14 while attending high school in Laredo — St. Mary’s University became the door-opening epicenter for the self-proclaimed “data nerd” who studied Industrial Engineering. When it came time for Zertuche to take computer programming classes — a subject with which she was completely unfamiliar — she happened to meet Professor of Computer Science Carol Luckhardt Redfield, Ph.D., while playing on-campus Ultimate Frisbee matches Redfield coordinated. Reflecting on two decades of teaching at St. Mary’s, Redfield agreed with Zertuche. “I do think that we help each other — students and faculty — with whatever we need in life, from school to work to family,” she said. With an engineering education under her belt, it didn’t take long for Zertuche to return to St. Mary’s to earn her MBA, gaining knowledge in how to run a business. “As a first-time CEO, the finance and business strategy courses helped me fully understand and evaluate financials and build key business strategies, such as raising money, marketing products and setting pricing models,” she said. Today, Zertuche is applying technical expertise and “the dynamics of working as a team” to manage a group of 14 at Enflux — Zertuche being the youngest at age 34. While she is energetic and strives to achieve work-life balance, Zertuche admitted that being CEO of a company that wants to grow is 24/7. “It’s rewarding to be CEO of a company, and I’m working hard to make our clients happy and bring value to their work,” she said. The post Alumna, discovered by San Antonio tech startup company on LinkedIn, becomes CEO a year later appeared first on St. Mary’s University. One of the biggest challenges faced by the Modi government was the creation of a robust start-up eco-system that was dominated by traditional family run businesses. After assuming the power in May 2014, Prime Minister Narendra Modi had said that the future of Indian economy was dependent on its ability to develop the cutting edge technology that can secure a place for the country in the fourth Industrial revolution. However, the country lacked the institutional mechanism to support and encourage innovators and entrepreneurs. Among the several steps taken by the government since 2014 is the launch of Atal Incubation Centres to lend support to those start ups that have been considered risky propositions by traditional investors. The cabinet on Wednesday approved fresh funding of Rs 1,000 crore for Atal Innovation Mission to help thousands of start-ups test their ideas, get market access and acceptability in the absence of formal funding. “The schemes and government funding in supporting the initial stages of the entrepreneurial journey is critical,” said Abha Rishi, CEO of Atal Incubation Centre at Birla Institute of Management and Technology in Greater Noida.”This gives them a good platform with a pretty strong incentive to come out and try their ideas and create a product that is ready to face the market,” she said. Atal Innovation Mission is the brain child of the country’s apex planning body, NITI Aayog. The programme develops innovation right from the school level to college and industry levels through Atal Incubation Centres, Atal Community Innovation Centres, Atal Tinkering Labs and Atal New India Challenges. Through the fresh round of funding, the government hopes to establish 100 Atal Incubation Centres across the country, each eligible to get a grant of up to Rs 10 crore for supporting 50-60 start-ups in the first five years. “We got Rs 5.5 crore funding under the Atal Incubation Center scheme and we use this money to curate and support start-up ideas through our three-tier system called Khoj, Gurukul and Udaan which are basically three phases of discovery, establishment and expansion. We provide them support including free accommodation for three to six months to work and test on their ideas,” Abha Rishi told Financial Express Online. Atal Incubation Centres and Atal New India Challenges are crucial for creating employment as the NDA government has followed a cautious policy of promoting employment through entrepreneurship. Prime Minister Modi has often talked about turning India’s demographic advantage, India’s educated youth into job givers rather than job seekers.The government said these more than 100 incubators would support 5,000 to 6,000 start-ups with a very high potential for employment creation.